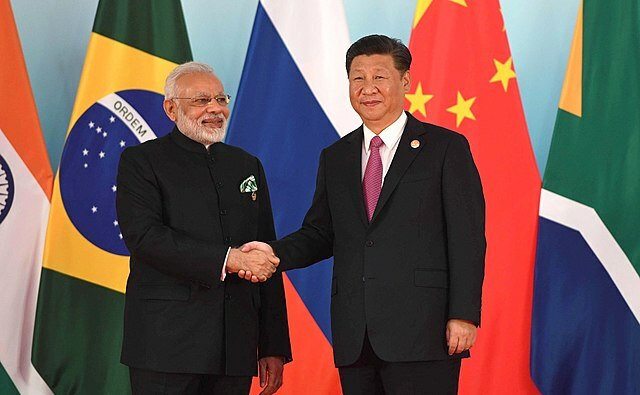 Indian Prime Minister Narendra Modi’s announcement that he plans to visit China for an ‘informal summit’  with President Xi Jinping is part of a ‘reset’  strategy vis-à-vis Beijing that New Delhi has embarked upon in the last few months. It’s the culmination of a series of outreach measures and comes on the heels of Defence Minister Nirmala Sitharaman’s attendance  at the Shanghai Cooperation Organisation’s (SCO) defence ministers’ meeting and External Affairs Minister Sushma Swaraj’s presence  at the corresponding foreign ministers’ event in China this week. Modi’s visit will put the official stamp on the ‘reset’ and is likely to have significant implications  for the region. Notably, its speculated that Modi’s upcoming visit is the result of an invitation  from Beijing and is even more interesting because he is already scheduled  to attend the SCO summit in China in June this year. It appears that the Indian government’s overtures to China in recent months, including visits by the Indian foreign secretary  and national security advisor , and the withdrawal of its support  to a Tibetan event held in New Delhi, have borne fruit and are being reciprocated by the PRC. More importantly, in what has been interpreted as shameful kowtowing to Beijing, India refrained from intervening  to resolve the political crisis in the Maldives in February, ignoring calls from several Indian defence analysts  to take definitive action. Furthermore, there are already rumours that India will remove its ‘blanket opposition’ to China’s Belt and Road Initiative (BRI), even though it would continue to oppose  the China-Pakistan Economic Corridor. Remarkably, this apparent ‘thaw’ in relations comes months after the face-off  between the two Asian giants in Doklam near the triboundary junction  of China, India and Bhutan, a crisis in which India had maintained a steadfast resolve  and appeared to have won diplomatic leverage . Moreover, persistent Chinese opposition to India’s aspirations to join the Nuclear Suppliers’ Group  and become a permanent member on the United Nations Security Council  are long-standing thorns in the relationship. As well, China’s move at the UN to block  the listing of Jaish-e-Mohammad group leader and mastermind of attacks on India, Masood Azhar, as a terrorist served as another major irritant. At a time when Chinese assertiveness and adventurism is growing rapidly, and Beijing is increasingly encroaching upon India’s strategic space—especially in the Indian Ocean Region—India seems to be dialling back from the position of strength it accrued post-Doklam last year. So, what accounts for this dramatic turnaround in Indian policy within a matter of months? The simplest explanation is that this is India’s default strategic position and is symbolic of a pattern of docility  that has characterised several Indian governments vis-à-vis China in the past, often with disastrous results . Moreover, there are reports  that China is preparing for another round of provocations in Doklam now that the winter is over and road building  can begin again. The Modi government doesn’t have the appetite for another clash along the border at a time when it’s preoccupied with domestic issues , struggling with the cost of economic reforms  and preparing for the 2019 general elections . New Delhi also finds itself unable to reduce the trade deficit  with Beijing, now running at US$52 billion . Also, India realises that its relations with Pakistan  aren’t going to improve, and prudence demands that it limit the number of adversaries it has, especially where both in this case have nuclear teeth. More significantly, this policy shift could in part be attributed to the uncertainty hanging over geopolitical dynamics in the region. Donald Trump’s transactional attitude  to foreign policy and vacillating stance  on US commitment to its allies and friends leave little room for strategic manoeuvring for middle and rising powers. The Modi government’s strategy may also recognise Beijing’s growing clout in the region and especially in India’s neighbourhood. Engagement rather than confrontation seems to be more palatable to New Delhi. However, it’s worth considering the damage this shift is likely to do to India’s own regional standing and reputation as the net security provider  to the small countries in South Asia. It’s important to remember that India emerged from the Doklam episode looking much better than China—the incident was recognised  as a case study in how to deal with Chinese assertiveness. By turning a blind eye to blatant Chinese power wielding in the Maldives, all in an effort to avoid antagonising Beijing, India is setting an example  to its smaller neighbours like Sri Lanka and Nepal of what they can expect if they have a run-in with the dragon. Although the boundary dispute is said to be on the diplomatic table, it’s unlikely that it’ll ever be resolved without substantial concessions from India. Furthermore, if this pattern of strategic kowtowing continues, it could spell the end to any chance of the rebirth of the Quadrilateral Security Dialogue  as India is unlikely to participate in any grouping with even remotely anti-China connotations. Already, Japan  and Australia  seem to be in need of strategic reassurance  in the face of an unpredictable US and a revisionist China. India’s strategic reorientation could mean that the grouping will either never materialise or will quickly become redundant. India’s refusal  to allow Australia to participate in the annual Japan–US–India Malabar naval exercises this year—despite repeated requests from Australia—is a case in point and goes to show that the Quad will likely die a premature death. Finally, being the only major country  to formally oppose the BRI last year—leading other countries , including Australia  and the US , to reassess their own views of it, any indication that India is softening  its position on China’s mega-infrastructure project could open the door for further bargaining with Beijing. Modi’s visit to China for an ‘informal summit’ is thus significant for what it symbolises. It’s clear that neither side is expecting any breakthroughs  but the optics indicate that India blinked first. Aakriti Bachhawat is a Research Assistant at the Griffith Asia Institute. Image courtesy the Kremlin via Wikimedia Commons.